Hardworking men or women, whose daily bread requirements are barely met, dream of their children studying in a school that gives them the ladder to achieve a better life. Low-cost schools cater to such aspirations and hopes. Low-cost schools are private unaided schools built on private lands, which are bought at commercial rates, with their own management committees requiring the government’s help only for recognition. Parents who send their children to these schools trust them to offer better academics, discipline and a holistic development of their child at a fee that doesn’t burn their pockets. Currently being spread in more than 22 states, NISA or National Independent Schools Alliance began its journey in 2010-11 when Parth J. Shah, President for Centre for Civil Society and NISA, along with other enthusiastic edupreneurs made a PACT or Progressive Action Commitments to assist leaders of Budget Private Schools (BPS) and improve the quality of such schools while advocating their concerns regarding legislation, bye-laws and other immediate concerns, playing an active role in the education ecosystem by partnering with different organisations. NISA took inspiration from ISASA (Independent Schools Association of Southern Africa), a six hundred schools-strong association that monitors the quality of schools through visits every two or three months. ISASA’s recognition stands parallel to South Africa’s government recognition. However, NISA is yet to match its status to the Indian government’s recognition. While building the model of NISA, its core committee engaged in several discussions with ISASA to establish stronger roots in the education ecosystem. “NISA was an urgent need for the country as Budget Private Schools gave the country’s students the education they deserved while it also provided a station at the national level for private schools to address and advocate the several issues and hindrances that come along the way,” explains Rajesh Malhotra, NISA Vice President. Gradually, NISA’s core committee took notice of the endless problems faced by all layers of private schools and decided to open its doors for them. The key issue that united these private schools under NISA’s banner was the unfair and bewildering inspection and regulations enforced by the government wherein all schools were required to meet certain standards in terms of infrastructure, facilities, student-teacher ratio, teachers’ training and the seventh pay commission. The government overlooked the striking differences among these schools such as their collection per annum or the number of students while governing them by the same rules. “Technically, there should be separate policies for different levels of private schools such that it meets the reality when being assessed,” points out Rajesh Malhotra. The mass demonstration ‘Shiksha Bachao Abhiyaan’ at Ramlila Maidan, Delhi by NISA was an attempt to request the government to restructure Right to Education Act, a law, they believe, is hindering the growth of education in the country rather than supporting it. The government’s efforts at improving the quality of private schools are rarely appreciated by the masses. However, alliances such as NISA want the government to give them a chance to improve their weaknesses rather than terminating the school’s license altogether. This is a rational argument because they are filling the vacuum left by the government and society. 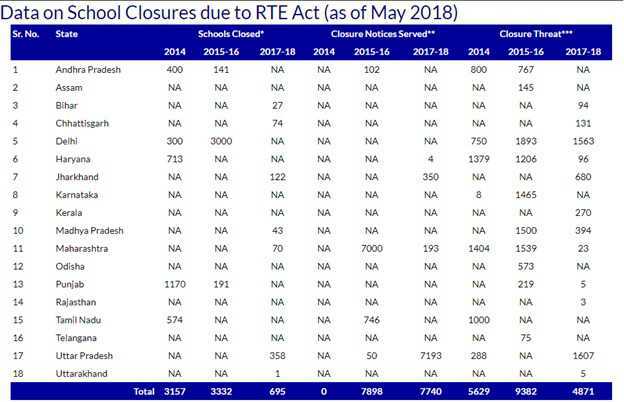 Even if the schools are shut down, there is no alternative provided by the government for the students previously studying in these schools which fail to pass the quality test. The alliance decided to list quality assessment as its utmost priority and partnered with international and national organisations such as Grey Matters India to develop an assessment team for quality intervention. Outstanding students are evaluated through NAAT (National Analytical Aptitude Test) that further reflects the learning outcome of these schools. Another major issue hovering over the federation is that of reimbursement of funds for the EWS students wherein it takes up to two to three years for private schools to get the promised funds from the government while they are mandated to march with the government’s handbook of regulations. While tackling these issues, NISA hopes for a major achievement in the form of a separate policy and committee for private schools that can create equity in the sphere of education. However, within the education ecosystem, it is imperative that schools question the biased handbook that mandates them to take only a certain amount of fee while the school’s expenditure starves to make ends meet. It is equally necessary for both government and private schools to focus on learning outcomes through a solid blueprint and implementation of teacher training programmes. Schools are the strongest medium of learning for generations and a wave of change can only be witnessed through improvement in each school across the country. Thomas Antony, NISA added that in 2017 Anil Swarup, Education Secretary had heard their problems, assuring regarding a positive step in compliance with the demands put forth by NISA. Overall, the government and NISA can build a supportive environment and leave the choice of choosing the school to the citizens of the country i.e. the concerned parents who wish that their children attend a school that’s friendly on their pocket as well as is able to promote the healthy and constructive development of their child. Header image used for representational purpose only.